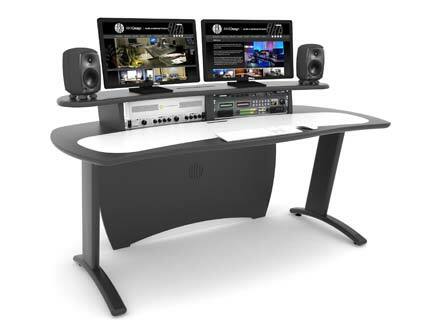 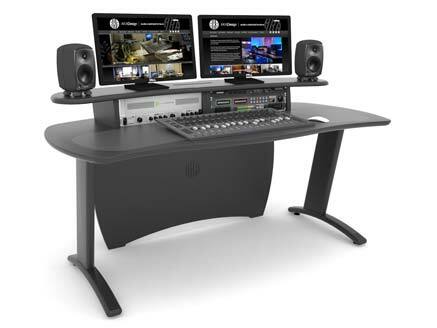 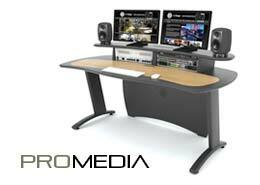 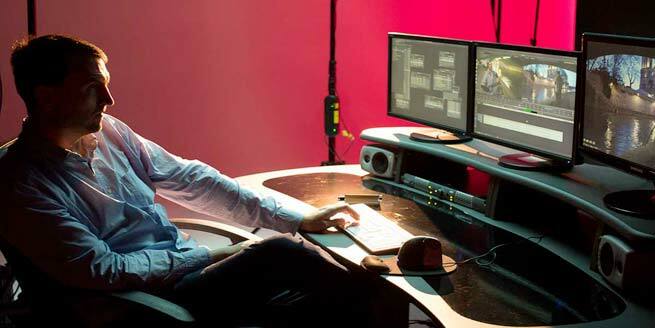 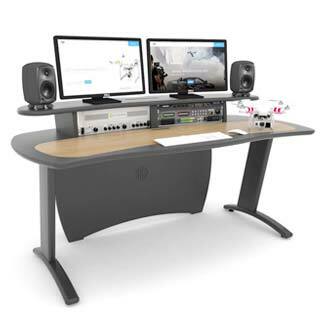 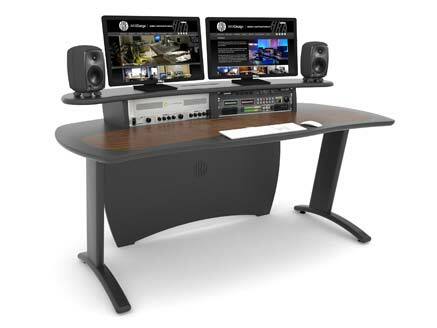 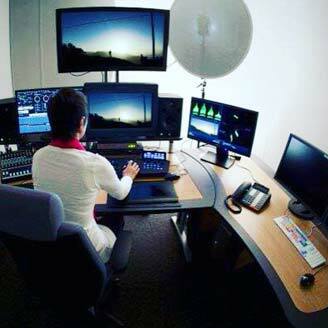 The PROMEDIA offers a cost and space effective solution for most desktop editing systems. 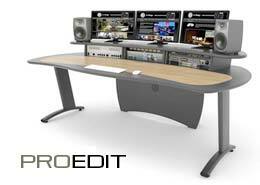 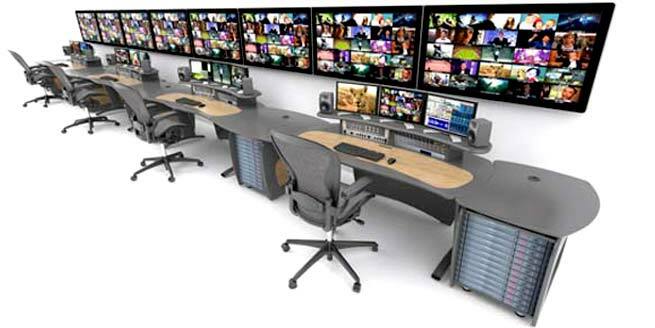 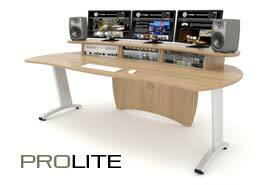 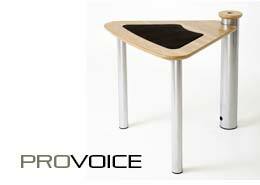 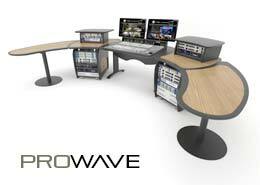 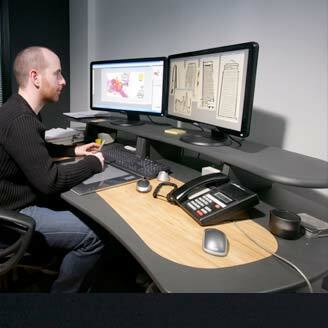 This product has been used for QC, monitoring and graphics desks often in situations where space is a premium. 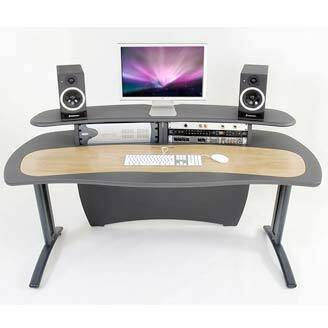 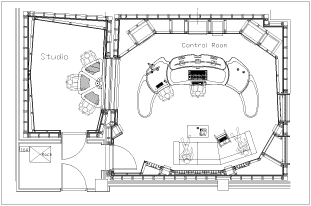 This product range comes flat packed which makes it easy to ship and assemble on site. 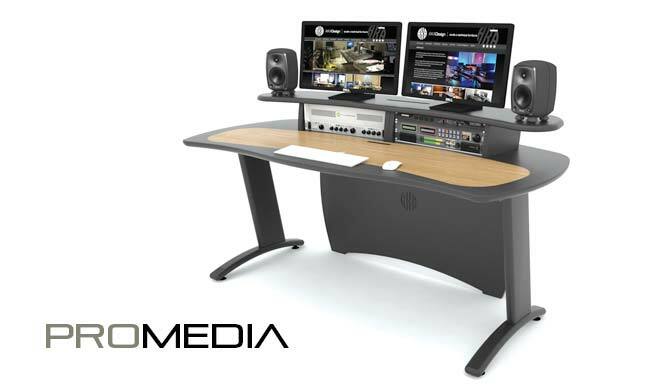 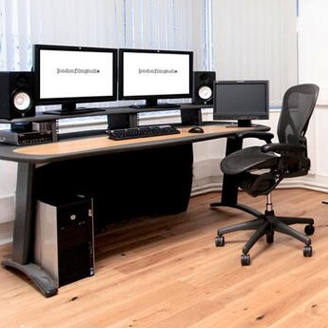 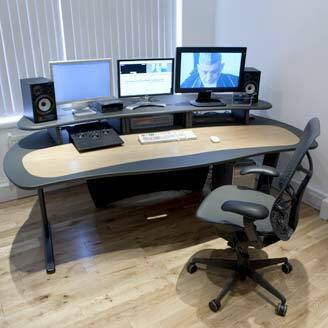 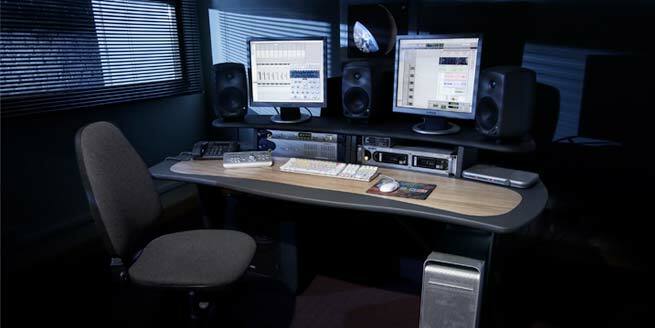 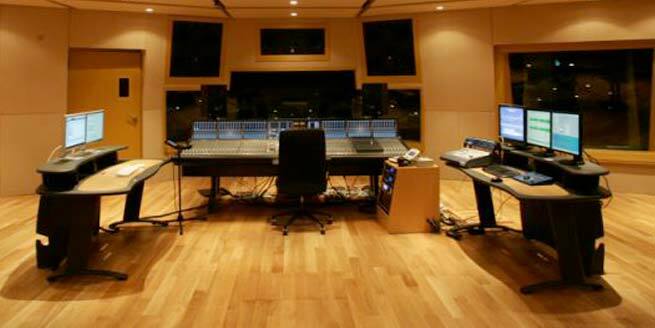 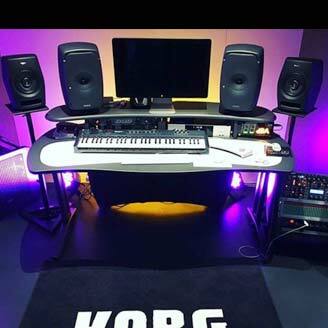 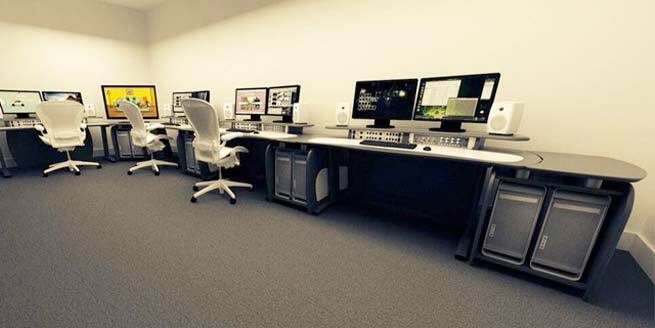 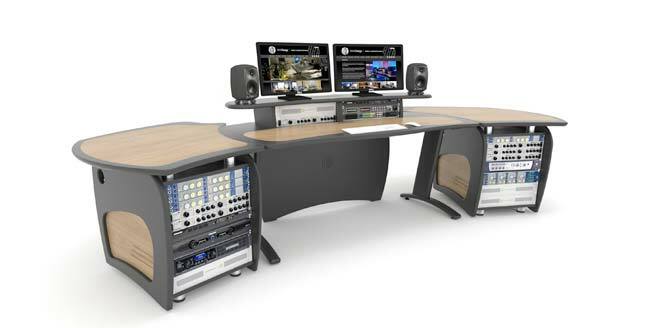 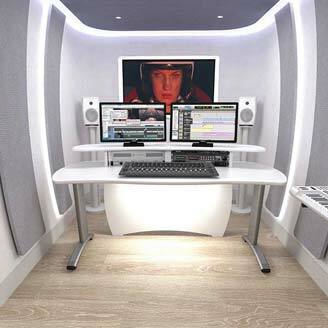 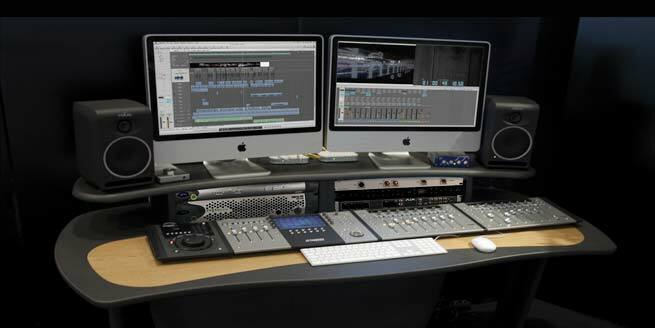 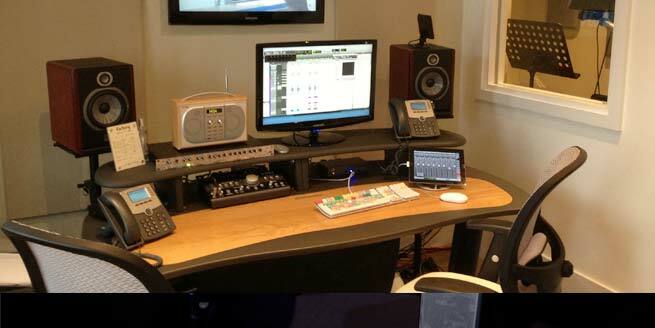 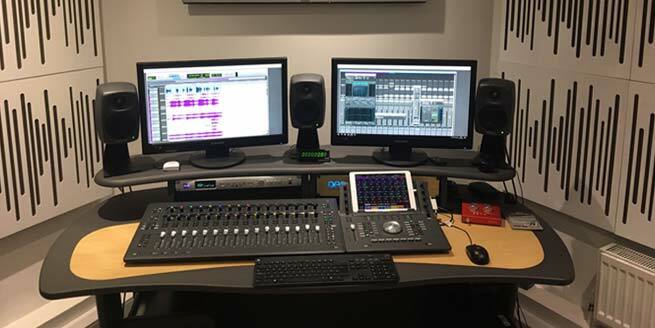 We offer a free design layout service so if you send us a floor plan of your studio, we will fit your PROMEDIA desk into the space. 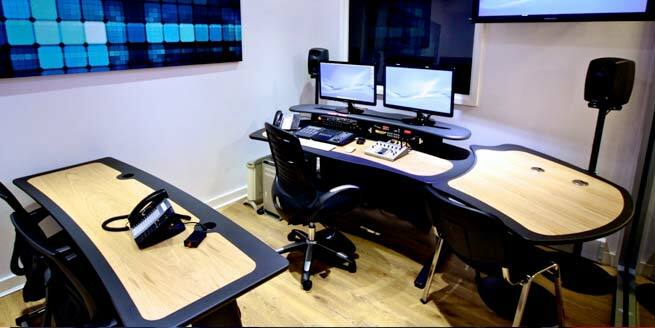 We also offer Hybrid with oue Product range; this means custom sections can be built if required for a specific project.